Samsung Medison, a global medical equipment company and an affiliate of Samsung Electronics, today introduced the RS85, a new premium ultrasonic diagnosis device that provides enhanced image quality, usability, and convenience for medical and radiology professionals. 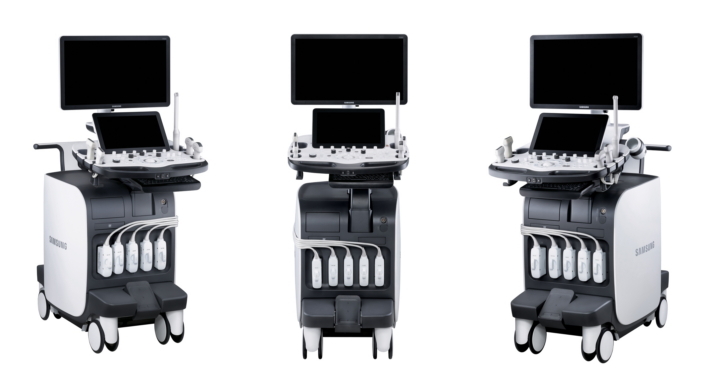 Among its features, the RS85 features the MV-Flow™ and S-Shearwave Imaging™ technologies. The MV-Flow™ is able to detect the blood flow in microvascular tissues which is hard to be detected via a conventional Doppler ultrasonic wave. This allows researchers to check for indication of any type of lesion related to cancer or inflammation. The S-Shearwave Imaging™ feature provides new indicators for clinical diagnosis by quantifying the elasticity of human anatomy via shear wave elastography which will increase the accuracy of diagnosis for diseases such as hepatocirrhosis and tumors. Furthermore, the RS85 is equipped with CEUS+ for diagnosing blood flow or lesions using contrast agent images, and also provides expanded diagnostic range to the liver and breast areas as well as safe, accurate diagnosis for young children. The S-Fusion™ function extends analysis to the prostate gland, and also allows coordination and simultaneous comparative analysis of images and sonograms from other diagnosis instruments such as MRI and CT. The RS85 also has a monitor arm that can reach even wider areas compared to Samsung’s conventional products. Also, the RS85 has been developed to decrease the fatigue of sonographers by adding a touchscreen for easier control of the device, and it can reduce the scanning time to improve usability. Samsung Medison, which has achieved great results in ultrasonic diagnosis devices for obstetrics and gynecology, is strengthening the premium ultrasonic diagnosis device business for radiology. Based on the RS85, the company will continue to expand its products in large hospitals, and enhance research cooperation with medical experts around the world. The RS85 will be available first in Korea and Europe in November, with more markets to follow.